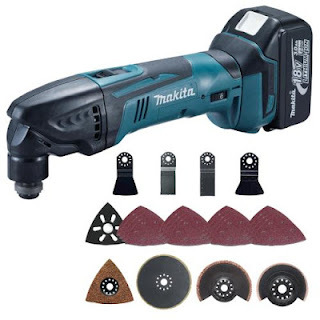 Makita power tools are arguably the most popular tools on the market, their 18v range of power tools is very comprehensive including cordless drills, jigsaws, circular saws and loads more, we have a full range of Makita tools available to order here. Today's tool of the day is the Makita BO4556 palm sander, this compact finishing sander is extremely popular due to it's size and weight. 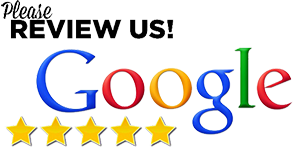 Click the image to order yours. 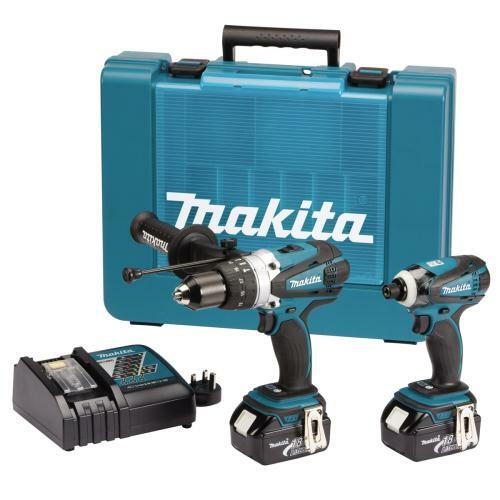 This Is The Cordless Power Tool Kit From Makita Which Replaces The Popular DK18027. The Essential Li-Ion LXT Kit Comprising Compact, High-Torque Combi Drill, Impact Driver With All-Metal Gearing, 165mm Circular Saw, Angle Grinder With Thermal Overload And Accidenal Start Protection, Reciprocating Saw With Tool-Free Blade Change And Torch With 5-Position Head. Combi Drill Features Fan-Cooled Motor And Automatic Spindle Lock. Impact Driver Features 4-Pole Motor For Excellent Power Transmission And LED Work Light. 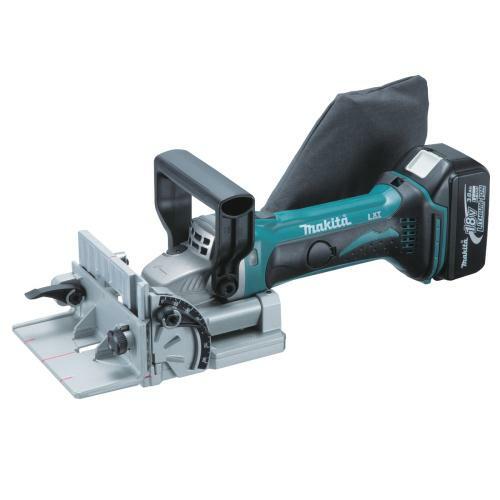 Circular Saw Features Integral Front Handle, Lock-Off Switch And Rip Fence. 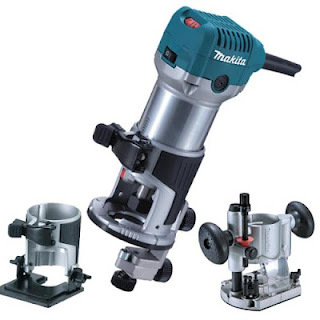 Angle Grinder Features Spindle Lock For Easy Blade Change, All-Metal Gearing And 2-Position Side Handle. 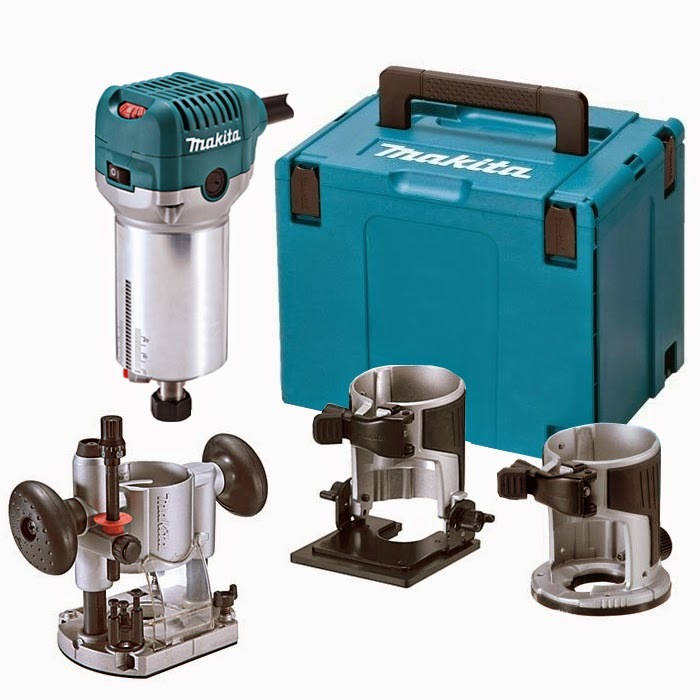 Reciprocating Saw Features Makita Motor, All-Metal Gearbox, 3-Position Adjustable Shoe And LED Work Light. Supplied With Carry Bag 3 X 3Ah Li-Ion Batteries And 22-Minute Charger. The DSS610 replaces the BSS610. Main features are: Powerful 360W maximum output, yet still with the extra-lightweight and compact design achieved by using Lithium-ion battery as power unit. Smooth and powerful cutting at the high rotational speed of 3,700 rpm delivered from enhanced motor. Easy to trace cutting line with: LED job light and built-in blow-off nozzle that directs sawdust away from cutting line. This 18v LXT SDS-PLUS Rotary Hammer is capable of drilling through steel, wood and masonry with ease. With the power of Lithium-Ion you can be sure to get the job done, wherever you are! Tool comes with Trimmer Base, Plunge Base, Tilt Base and Systainer Case. 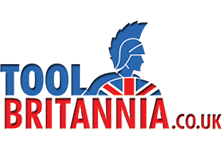 The New DK18000, replaces the Lxt202 and we at toolbritannia.co.uk offer the best price ANYWHERE for this Kit. 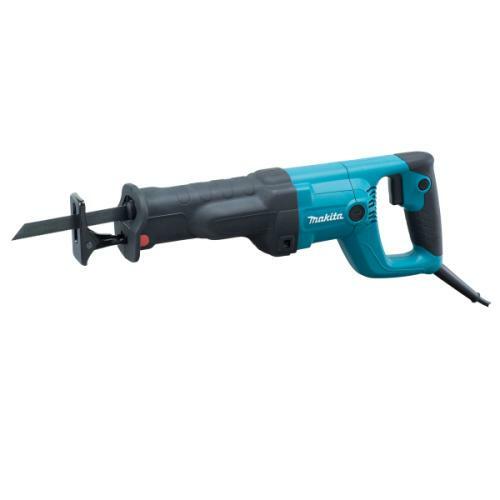 New Makita 18v cordless multitool. DEAL OF THE DAY!!! LOW PRICE!!! DONT MISS OUT ON THIS GREAT PRICE!